Uncovering your strengths and how you best perform is information that can be hard to access. Start your journey of self-discovery now by completing the GRI survey. 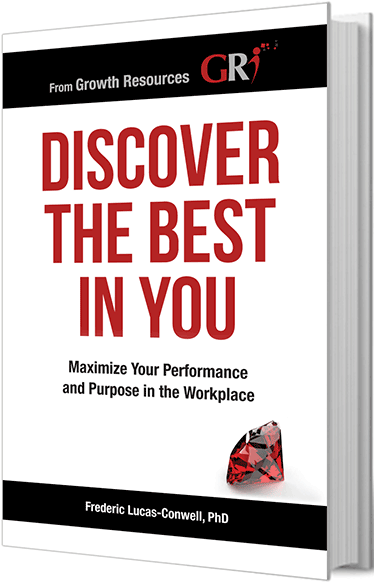 The results provide you with insights into your strengths that impact the way you work and how you balance your agenda with outside-work activities. Uncover what makes you stand apart. Maximize your potential by taking the GRI survey today. Uncover what makes you unique. GRI’s online survey measures the way you perform and adapt to the environment. Of all the facets of your personality that make up your talent, the behavioral/emotional characteristic is the hardest to assess! Let the GRI solve the mystery. The GRI survey uncovers how you communicate, build relationships, set your goals, make decisions, learn, develop leadership, and more. The better you know your unique talents and the way you best perform, the more you’re set up to succeed. What Makes You Perform Better at Work? The answer to this question starts with more reliable information on your talent and the way you can grow. Ace interviews by helping you verbalize your talents. Find work with people who understand you. Find a job that fits with your talents and potential. Maintain trusted relationships with your colleagues. Find a manager who provides support when you need it. Live a meaningful and purposeful life. It starts by uncovering your unique talents, using them at home and at work, and with a job that’s aligned with your potential. Apply what you learn from the GRI to set your goals, celebrate your achievements, communicate, and build relationships that work. Start today by completing the GRI survey. It all starts with the GRI survey. The power of the GRI does not stop when you leave the office. Discovering your talents through your GRI profile not only sets you up for better performance at work, but in your personal life as well. People who use their GRI profile are more likely to work with their natural strengths and avoid or reduce stress, anger, and other negative emotions that hinder creativity and performance. GRI is more than an assessment. Uncovering your talents through your GRI profile is just a start. You can use the GRI to dramatically transform your hiring, management, and how you grow your organization. Whether you want to become trained and certified as a GRI expert, or get assistance, we are here to help you get the most out of your hiring and management.